The tools we have as musicians these days are simply amazing. I can’t believe that when clients hire me to track drums for them, the sounds I provide are coming from top studios, the best gear, mics, drums, cymbals and engineers out there. You can have these sound too, but what really makes this VST shine is when you can have a real professional drummer lay down the grooves that trigger it. This amazing software comes with lots of midi built in, played by awesome drummers, but it’s too polished in editing and ends up a little stale. My experience is when you work with a drummer to really feel your music and play for your particular song, the real magic happens! I think it takes a while to get the feeling of electronic drumming to sound more like acoustic drumming. I have noticed that when editing my drum tracks, there are a lot more notes and dynamics than your pre-made midi bundles. This makes the files I send you very custom and built explicitly for your song. Drummers have a certain way they make the drums talk and this really shows when the midi velocity is recorded into the DAW. That measurement will tell Superior what samples to play and that means the energy is coming from how hard or soft the drummer is playing. I have looked at the midi bundled into the software, looked at mine and saw a big difference. It also comes from the way your drummer will play behind or ahead of the beat. This is what creates the energy, tension, groove and pocket you hear on your favorite records. The pre packaged midi is quantized, and the velocity is general. This can make for a drum track that sounds like a drum machine. I think what I’m saying, is if you want it to sound like a pro drummer played on your track, hire a professional Online Session Drummer to lay the drums down. Yes, that was me totally selling myself! 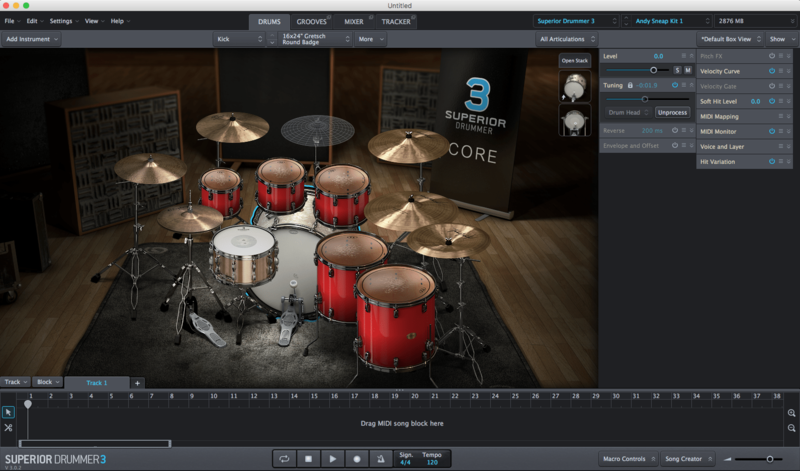 Superior Drummer 3 is the best drum software, when it comes to feel, I have ever used. Especially when it comes to an E-Drummers worst nightmare, the hi-hat parts. In my opinion, Toontrack is the leader for getting the samples that are played back to replicate what the drummer is actually playing on the E-kit. All I did was bring up the Roland preset and everything dialed right in! I hope this was informative, even though it’s just my opinion. This VST is a monster, when fueled by a professional drummer. This is the best drum software I’ve played to date. 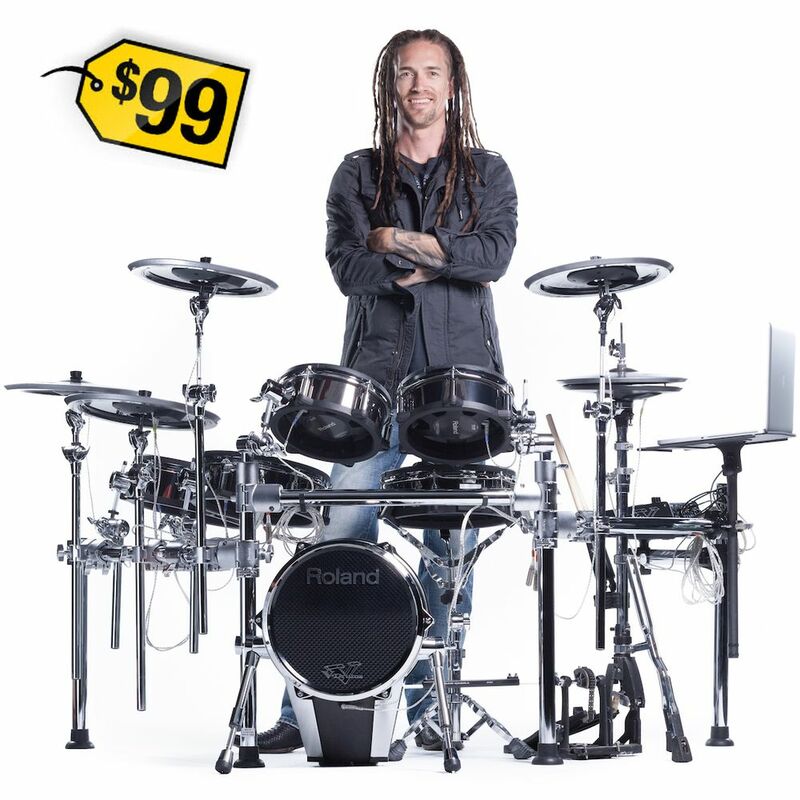 This post was posted in Blog and tagged best drum software, Nick Oshiro- Online Session Drummer, superior drummer 3. Bookmark the permalink.